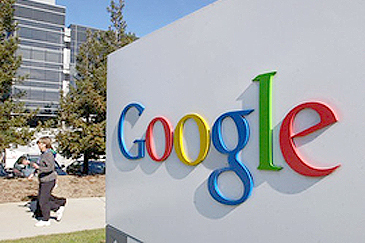 Google, the world's largest Internet company, is ramping up its recruitment efforts in Korea with 15 engineers being selected so far, its spokesperson said on Monday April 16, 2007. "We have completed selecting 15 Korean engineers, who underwent our eight-step interviewing process," said Lois Kim, a spokesperson for Google Korea, a Korean unit of the search engine company. "The number will not stay there. There will be no ceiling on how many engineers will be employed as Google is intensifying its efforts to expand its presence here in the Korean market," she added. "Half of the new Korean engineers are new-entry workers, while the other half are those who have quite an amount of experience in software development," Kim said. "They will likely be deployed after two months of inside training but no assignment for them have been decided yet." Google is arguably the largest Internet search company in the world, boasting a simple and fast search business model, which does not have banner ads. The company, however, has failed to duplicate its success in the Korean market where homegrown rivals such as NHN and Daum are dominant. According to market researcher Korean Click, Google ranked 16th in terms of unique visits, a measure of how many people use the site for searches. After years of sluggish business, the U.S.-based Google has recently launched its Korean unit, Google Korea, along with a research and development center committed to develop search-related software. Around 50-60 people are working for the two units and the number of staff including engineers will increase this year as Google is setting its eyes on building a solid foothold in South Korea, Kim said. Google has accelerated its efforts to expand its presence here, especially late last year when it signed a deal on online keyword advertisement with Daum, the nation's second-largest portal operator. "Korea is among the top 10 Internet markets in the world and Google is committed to growing its investment in this market. The company continues to hire in its research and development center and sales operations in Seoul," Google said in a statement announced with the ad contract last year. Google also works with local mobile phone manufacturers — Samsung Electronics and LG Electronics — by signing deals this year to make handsets incorporating its search and other diverse services.